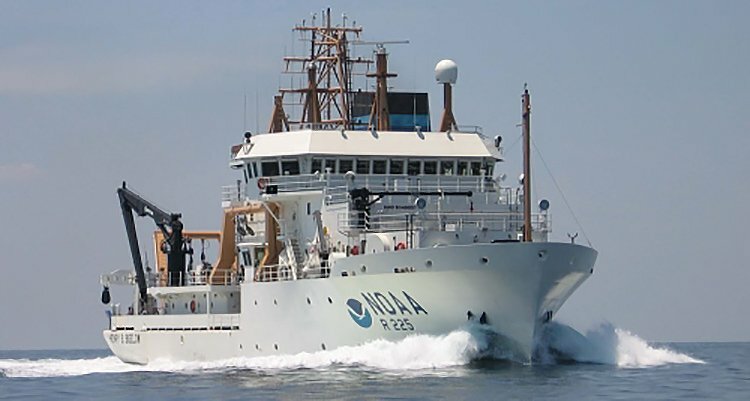 JMS has completed most of the Post Shakedown Availability (PSA) work on board the new National Oceanographic and Atmospheric Administration (NOAA) Fisheries Research Vessel Henry B. Bigelow. 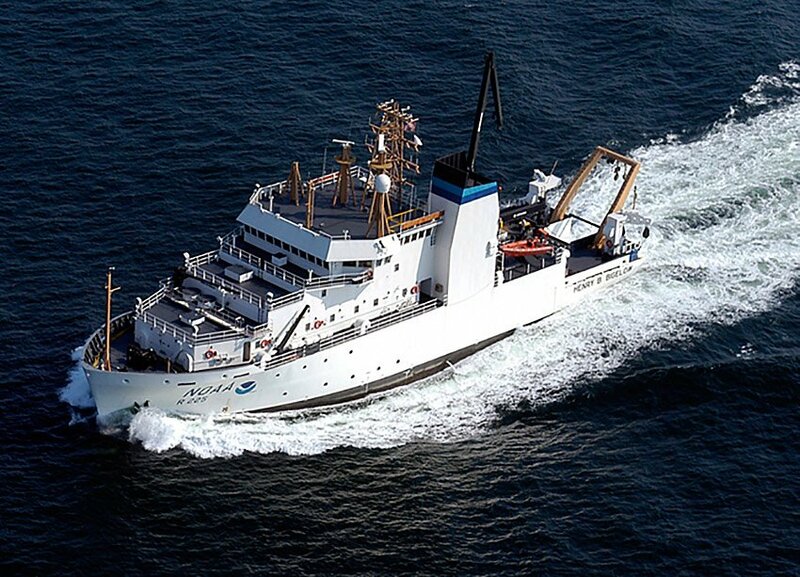 HENRY B. BIGELOW (FSV-2) is the second of NOAA’s new class of Fisheries Survey Vessels. She is a state-of-the-art research ship with multiple science mission capabilities. The Bigelow is 208 feet long with diesel-electric drive that is designed to eliminate virtually all radiated noise. The purpose is to closely monitor and sample populations of fish without disturbing them in their natural habitat. 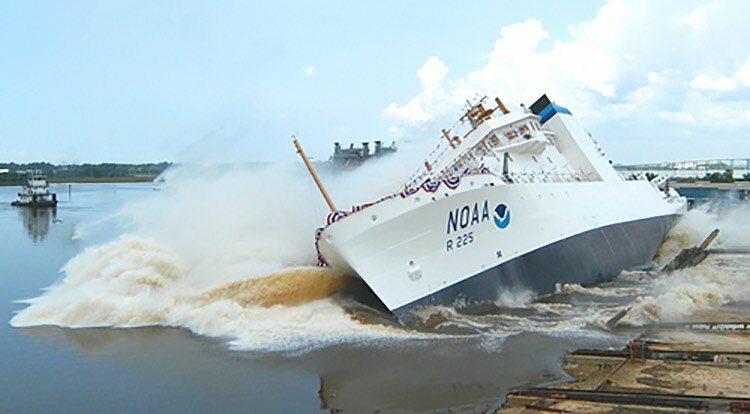 The vessel arrived dockside at the Atlantic Marine Operations Center in Norfolk, VA in December 2006 after delivery from VT Halter Marine in Pascagoula, MS where she was built. Beginning in January 2007, JMS coordinated and managed close to $4 million of work performed by several commercial marine repair firms primarily in the Norfolk area. Some of the more involved work items were modification of the vessel’s anti-roll tank, reconfiguring portions of the sophisticated fish handling system, installing high-tech fish data collecting equipment in the Fish Lab, installing the internal electronics of the state-of-the-art sonar system, and adding features to the ship’s scientific computer system. JMS met the challenge of completing all work items in time for end of February departure. The Henry Bigelow will be home ported in the northeast. Currently the ship is docked in Newport R.I. for final tests being conducted on the trawl fishing system as well as the onboard operations and scientific systems. As the ship gains fishing and operating experience, new modifications have become apparent. Several modifications and repairs have been performed in Newport under JMS oversight including trawl hydraulics and net gear stowage modifications. Additional work will be completed in Norfolk, VA during the winter of 2007-2008.